Dhaka, 6 Feb, Abnews: Considered a complex hue by many, ultra violet holds loads of potential to jazz up any boring look with the utmost panache. Be it with ethnic styles or with the western look, experimenting with this vibrant colour will make the feminine beauty stand out and create a powerful statement amidst the blacks, reds and whites. The market offers many versatile shades and hues of ultra violet that can easily make their way into the wardrobe and jewellery box, whether in dresses, maxis, ethnic suits, saris or necklaces and jewellery pieces. 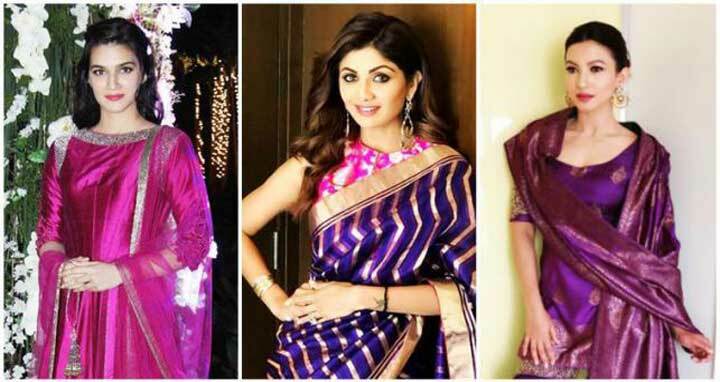 * Pleated long skirts - Ultra violet pleated long skirts paired with a dull golden choli or a black shirt looks uber elegant and is a perfect option to stand out in the crowd. To add on one can carry a gemstone pendant or silver collar clips of similar shades. * Stripy jumpsuits - Jumpsuits of ultra violet hues striped with black, white, grey or blue will give your outfit a bold look and add that pop which may be missing earlier. Broad stripes, pinstripes, banker stripes are styles to mention a few. To accessorise with them, try the long and sleek danglers with a silver oxidized peppy nose pin. * Fringe fever - Fringes are the trend going in all lengths and styles, so whether opting for a fringe overlay or going for the tasselled hems the ultra violet hue as the base will surely add that extra grace to your look in 2018. With ultra violet as the main attraction, silver or platinum pastel coloured thread tassel earrings will complement the look well and will add that alluring charm. * Velvet wonder - Violet is one colour that looks stunning in velvet. Be it in the weddings or the cocktail parties, velvet suits, lehengas, and dresses look trendy and distinctly royal at the same time. An ultra violet velvet outfit with heavy embellishment will work tremendously. Go for a top-to-bottom violet look and break it with gold accessories and multilayered pearl necklaces or brooches.